You weren’t planning to sleep tonight anyway, were you? I couldn’t sleep last night. 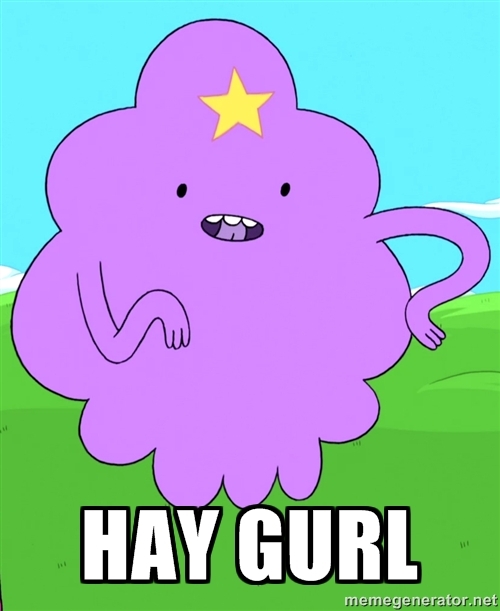 I woke up at ludicrous o’clock in the morning and my brain was all ‘Hey Gurl, let’s get up and do something’. There’s no point even trying to sleep at that point because my suddenly active brain will start to dwell on less pleasant things if I don’t get up and do something with the unexpected/unwanted energy. So I decided to do another read-thru edit of The Troll’s Toll. By the time I finished I was tired enough to go to bed, and excited enough to dream myself into the world and the futures of Lilly and Gramble. Today, doing some catch up TV viewing I watched the most recent episode of Face Off (which you know I love thanks to this post) and what’s this weeks challenge? And even better it featured Doug Jones (who played Abraham Sapien from Hellboy among many other wonderful creature roles). None of the make-ups quite looked like Gramble to me, but there were quite a few that I almost want to make him into. It’s that time again. Time for a new printer. My current one prints unevenly when the toner runs low, but now it does that even when the toner is new. Not to mention since it’s a colour laser printer it’s always yelling at me that some colour is running low. This weekend just passed we(myself, my husband and my parents) took Xander on his first camping trip. He had a blast, but of course all he wanted to do was touch the campfire and run around exploring, so we parents are exhausted. One very interesting thing also occurred. 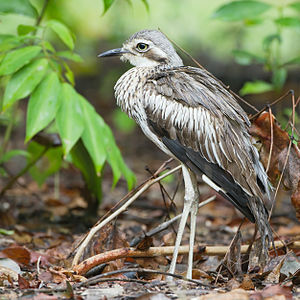 You may remember my many prattles about the Bush Stone-Curlew (here, here). 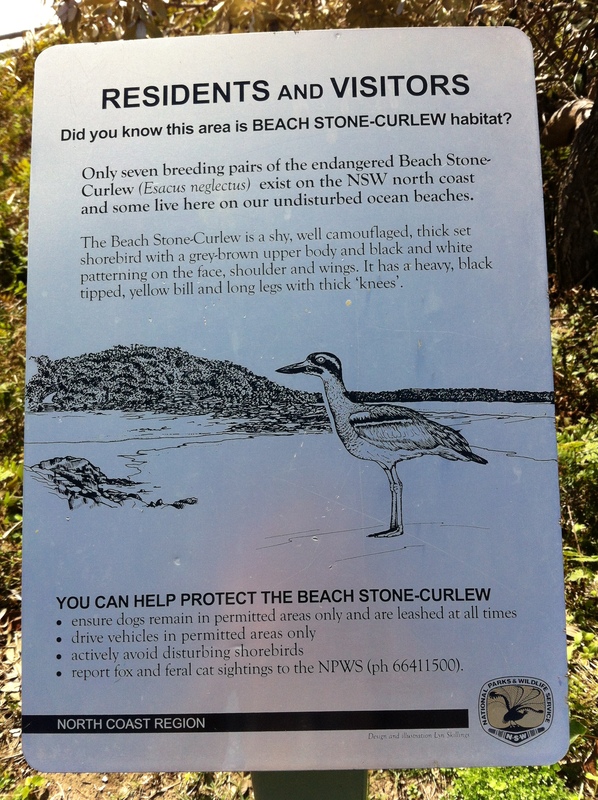 Well at the camping spot we selected there was a wildlife sign announcing this area was one of the few places were you could find the rare and reclusive Beach Stone-Curlew. I swear I didn’t know this until after we got there! Only seven breeding pairs have been seen on the Northern Coast of New South Wales (where we were camping) but luckily we saw two, each on separate days. The first day we took Xander to the beach and saw one back in the dunes. 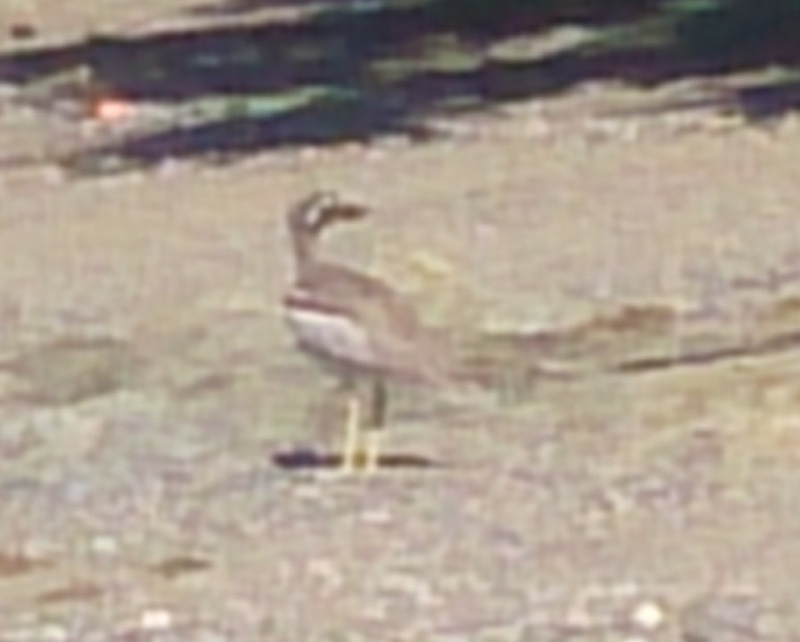 I didn’t realise it was a stone-curlew but looking at it I thought it looked like a softer-hued bush stone-curlew. My father had the same suspicion. So he read the wildlife sign later that day and we discovered we’d been right. A lot of storytellers will tell you that while they drive, while they walk down the street, while they hang out the washing they tell little stories in their heads. Sometimes they’re fleshing out a novel or short story, sometimes they’re just fantasizing that in a few seconds a dragon will drop down in front of them and whisk them off to a fabulous land far more fantastic than a place where dishes need to be done and day jobs need to be punctually attended. As you can probably guess, I also do this. This weekend though I took it to a new level. I managed to catch one of those nasty 24 hour bugs. I won’t divulge the nasty little details, but let’s say it was highly unpleasant. However even as I was using every possible trick I know to not throw-up I was still concocting stories in the back of my mind. So either I’m a born storyteller or I’m a complete nutter. Not that those things must be separate diagnoses. Does anyone else play out stories randomly through the day, or have a particularly odd time when they have done so? Typing on a phone or tablet doesn’t keep the creative juices flowing for me, it takes too long to type with just a thumb(on my phone) and when I type on tablet I type too fast and the tablet gets confused and thinks I hit two spots at once so ignores both and the words are all gobbledegook thanks to auto correct. On a keyboard I can just keep flowing with the idea, expanding and growing. Even with pen and paper my note taking can keep up with my imagination, but on a phone it’s just a little too slow. I wonder if the generation before me, those less familiar with computers, feel the same way about normal keyboards? I’m fine because I was using typewriter keyboards from a young age so they’re old hat to me. I loved my typewriter so much as a kid that I’d take it along with me on camping trips, giving up what little foot space I had in the car (no idea why a notebook and pen weren’t good enough for ten year old me). 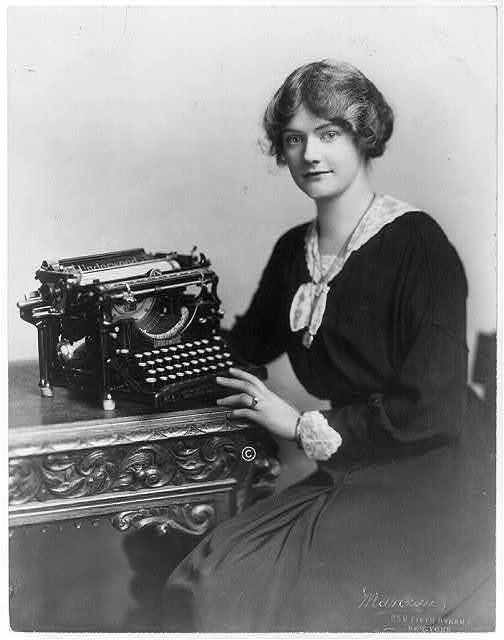 Transitioning to computer keyboard was great because the only thing that frustrated me about my typewriter was when I typed too fast the arms would sometimes get stuck together up near the page and that doesn’t happen with computers. I haven’t had the same transition with phone keyboards. Even on the larger tablets it just feels awkward to me. What methods do you prefer? Is there something that you just can’t seem to adapt to? If you read my post a while back on the screaming woman bird you know I quite like bush stone curlews. There’s a haunting mystery to them. Until I googled them I had never even seen what they looked like and it has only been recently that I have seen them live and in front of me. There is a park near by that Xander likes to visit after dark sometimes (because his sense of adventure knows no bounds) and being near the water there is a nest somewhere in the area and as he plays you can hear them calling from the shadows. A couple of times as we pull up into the car park we’ve been lucky to see one in the head lights, but way off. Tonight they must have been tempted by all the scraps left by Easter holiday visitors, because it wasn’t the odd one visible in the distance, but several of them, some as close as only ten meters away(which sounds far away, but considering how hard it has been to see one until now this is pretty special). Just like when I first heard them as a teen and I imagined them to be some odd sort of owl then was surprised to find them a ground-dwelling bird, I was surprised again tonight. I thought they were small, quail-like in size, but some looked like they might be almost up to my knee height. I’ve been having a few problems with my website not loading these last few days, but I’ve updated a few things and that should fix it all now. On a big plus side my vertigo is almost completely gone. I still get a little wonky if I’m tired or push to hard, but I can read without words getting jumbled and walk (mostly) normally again. On a positive note I’ve managed to get back to revision and writing and my day job, so life is almost back to (my version of) normal. Added after posting: While going through that massive list of blogs I came across Chuck Wendig’s reaction to the series finale of How I Met Your Mother (spoilers and bad language warning for that link) and after reading the part where he said “You can’t build some fancy skyscraper and then put a giant ceramic clown taking a dump at the top of it.” I felt compelled to share with him this (which I share with you with just as much mirth), the Asahi building in Tokyo. My critique group has a fun tradition at the Christmas break up party. We all bring in the worst spec fic book we’ve read this year then the books are redistributed via number in a hat. Now a part of me wants to try a couple of these books(I ended up with several, yay for lucky draws ;p ), after all the quality of books can be subjective (beauty is in the eye of the beholder they say). In fact someone who hadn’t read a bad book had bought in a bad movie instead and T-J and I both enjoyed that movie. But I’m always strapped for time, particularly now with three dead lines looming before the year’s end. Do I risk reading a bad book because I might actually like it? Or do I save my time for books I’m more likely to enjoy(oh and you know, those pesky dead lines)? Kiki’s Delivery Service 1,000 piece puzzle – complete at last! I have finished the 1,000 piece puzzle I bought in Japan and started when I was pregnant. To be honest, I’m still shocked at the fact I have finished it, when I put it aside during early labor I assumed I would never get back to it. This just goes to show you can go back and work on old projects and finally complete them. Writers and artists, prick up your ears. If you have passion for something, as long as you truly want to, you will find the time to finish your magnum opus, even if you only manage one piece of the puzzle every few days. In all seriousness though, I’m going to finish Ashling (I’m halfway through) and get straight onto reading The Wild Girl so it can be reviewed in time for its official release. 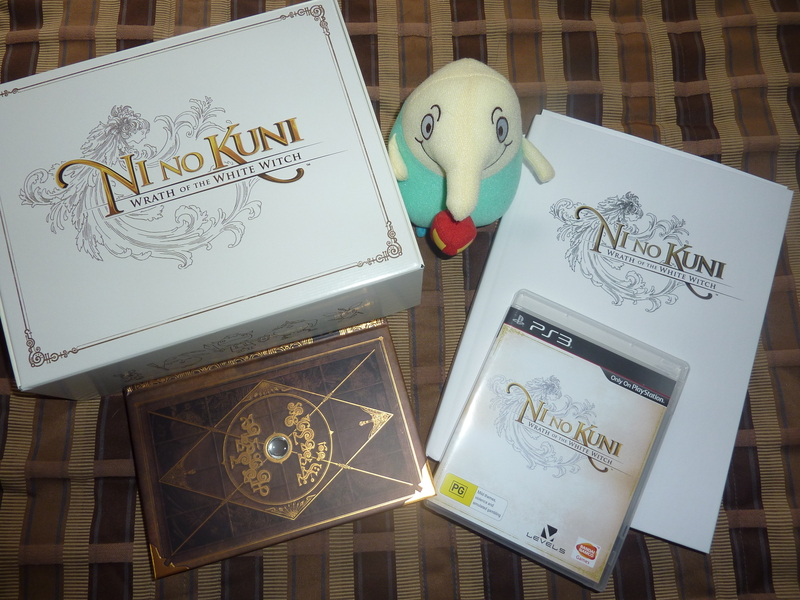 I also intend to review Ni No Kuni (though I imagine most people interested in the game would already be playing it).